No matter how wonderful your scissors are, eventually they are going to get dull. The more you use them, the more they have items on the surface that will wear down the blades. 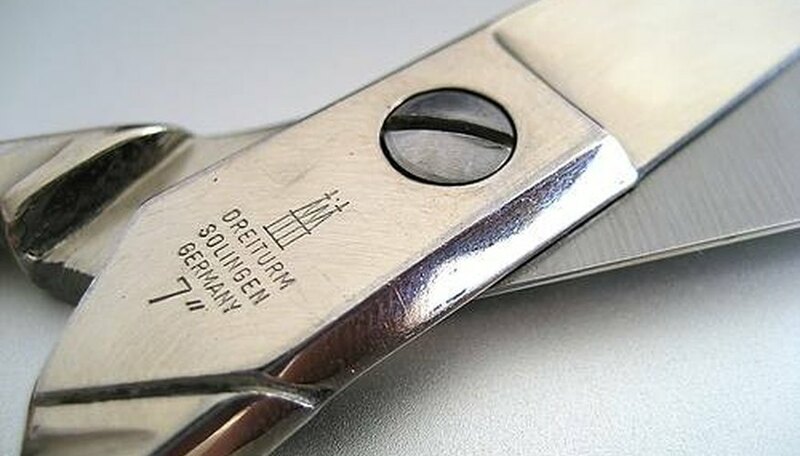 You can purchase expensive new scissors or a sharpening stone, or you could just take them into the kitchen and sharpen them on a piece of tin foil. Tin foil has been used by crafters and hobbyists for years to sharpen scissors. With very simple directions, you'll find it the easiest way to take them from dull to like new once again. Wet a paper towel with warm water and rub the blades of the scissors. This will remove any debris that is on them. Take a large piece of tin foil and fold it to make it several layers thick. Open the scissors and run the tin foil along the blade. Make at least 10 runs along each side. Do this to both sides of the blade, one blade at a time. Open the tin foil so it is not as thick, and cut the foil. Wipe the blades down once again with the paper towel and your scissors are good as new. Sharpen your scissors at least twice a month if you use them often. Never lay the tin foil in your hand and run the scissors along it, because you run the risk of cutting yourself. Always apply the pressure to the scissors, not to your hand. Uncommon uses of tin foil.